This art project gives delight both day and night! 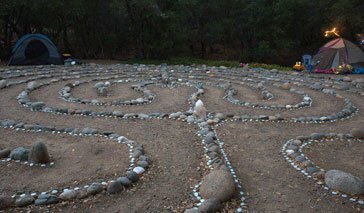 A permanent campground maze gets a GLOW Stones USA treatment with Cobble Stones. The night pics are a-MAZE-ing! 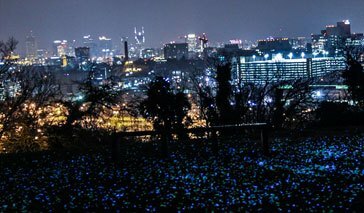 This beautiful setting was created on a romantic hilltop overlooking Nashville, Tennessee. The boyfriend and a buddy set up the glow stones and the girlfriend is now a bride-to-be! 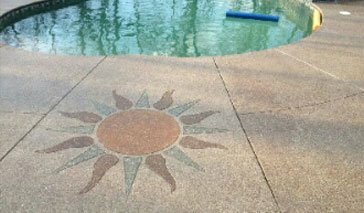 Dale is a pro at using GLOW Stones USA products to create beautiful artistry in concrete. His customers in the Michigan area are fortunate to have him!